with a wish of restarting after the 10th anniversary of the brand establishment. The brand made its debut at Los Angeles in 2008, under the theme of traditional sports “golf.” We provide next-generation sportswear targeting at luxury and niche market. Various concepts such as art and street are incorporated into an innovative design that seem not like a golf wear, and high-tech materials and draping are used to deliver variety of items with high functionalities. 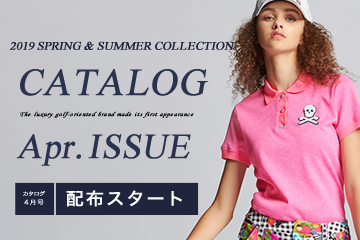 Delivering a unique atmosphere, it is now being expanded worldwide as a byword for golf fashion.